LANAO DEL SUR, Philippines — Parts of Marawi City had been cleared from Islamic militants and soldiers are now trying to restore control over five more enclaves where gunmen are still displaying the iconic black Islamic State flag. Vice Governor Haroun Al-Rashid Lucman of the Autonomous Region in Muslim Mindanao on Saturday called on private physicians to help in their relief missions for more than 100,000 displaced residents. Thousands of evacuees are now confined in gymnasiums and government buildings in nearby Iligan City in Administrative Region 10. “Doctors are badly needed to help our medical and rescue teams working round-the-clock since Tuesday,” said Lucman, concurrent regional secretary of the Department of Social Welfare and Development-ARMM. ARMM officials and Lanao del Sur Vice Gov. Mamintal Adiong Jr. on Saturday said 90 percent of the more than 200,000 residents of Marawi City have evacuated to neutral grounds for fear of the gunfights between government troops and combined Maute and Abu Sayyaf terrorists. “Marawi City is virtually a ghost city now,” said ARMM Gov. Mujiv Hataman. Hataman and Adiong are jointly directing relief operations from the Lanao del Sur provincial capitol compound in Marawi City. Marawi City is the capital of Lanao de Sur, a component province of ARMM. Policemen and soldiers have cleared the surroundings of the old Marawi City hall, the Toros, Bangon, Kadingilan, Moncado, Buadi Sakayo and Colony areas from occupation by militants, according to city officials and traditional Maranaw elders helping in relief works for displaced residents. Officials of the Army’s 103rd Brigade and the Regional Police Office-ARMM said on Saturday that clearing operations are now focused on Moncado, Guimba, Malimono, Marinaut and Caloocan areas in Marawi City. 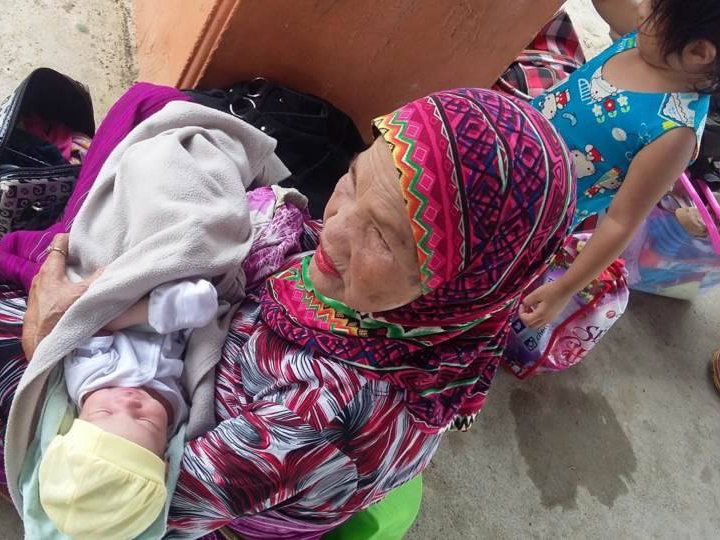 The Humanitarian Emergency Assistance and Response Team (HEART) of ARMM is trying since Friday to reach out to hundreds of ethnic Maranaws in villages where extremists are still holding out, displaying the black flag of the Islamic State of Iraq and Syria. The provincial government of Lanao del Sur has distributed more than 10 tons of relief supplies to evacuees since Wednesday, according to Adiong, a first-termer vice governor and member of the inter-agency peace and order council in the province. A senior ARMM executive, who requested anonymity, said the police should also check on the exorbitant charges of fares for public conveyances and overpricing of rice and petroleum products by unscrupulous merchants in Marawi City. “I was informed that there are drivers of passenger vehicles charging P1,500 per passenger for a ride from Marawi City to Pagadian City. Gasoline is retailed at P100 per liter and rice is sold at P5,000 per sack, accordingly,” the source said. Efforts to locate more than a hundred missing people, among them a policeman and a Catholic priest gunmen snatched on Tuesday are still underway. Lawyer Laisa Alamia, executive secretary of ARMM, said six male adolescents, some of them with shrapnel wounds, were rescued at past 4:00 p.m. Friday from a village where soldiers are fighting militants. “They were caught in the crossfire,” Alamia said. She said hundreds of students in the campus of the Mindanao State University in Marawi City had been relocated to a safe area through the efforts of school president Habib Macaayong and emergency teams. “Our concern now is how to extricate many villagers who can’t leave their barangays because of the ongoing encounters there and the presence of militants probably preventing them to leave,” Alamia said. Alamia said rescue workers cannot get through to the barangays where there are skirmishes. “We are hoping there would be a lull in fighting so we can rescue those trapped in the crossfire,” she said.